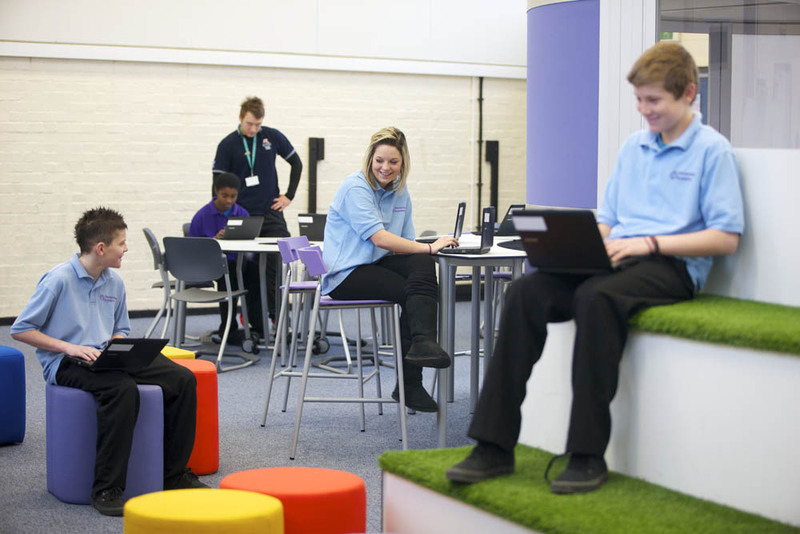 One of the first Kunskapsskollen schools in the UK, Twickenham Academy’s curriculum model prioritises independent and autonomous learning. 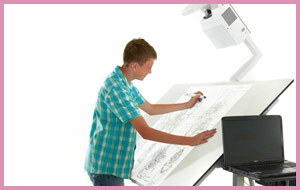 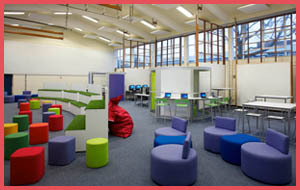 To deliver this curriculum they wanted a space where students can choose where and how they work. 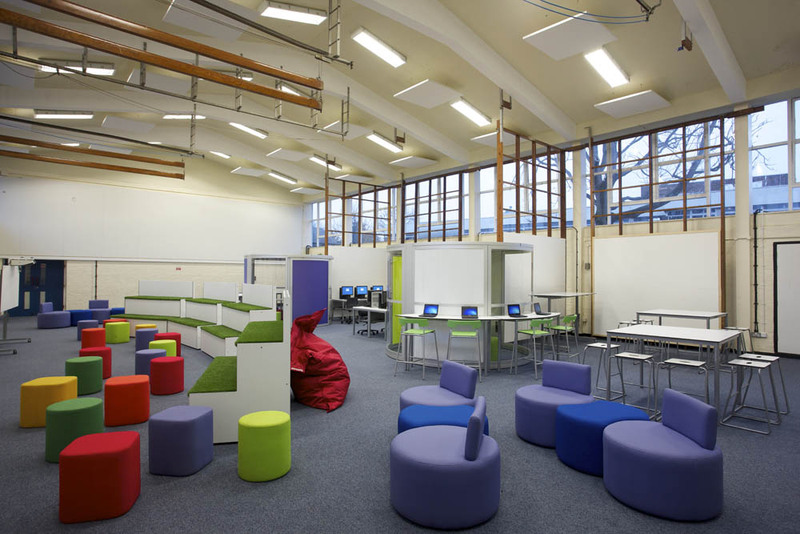 One old sports hall and a few weeks later, this open plan learning zone was open. 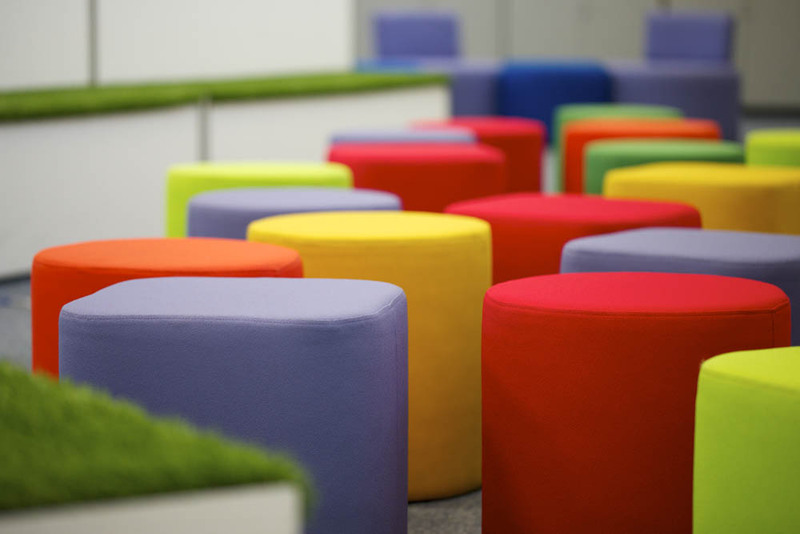 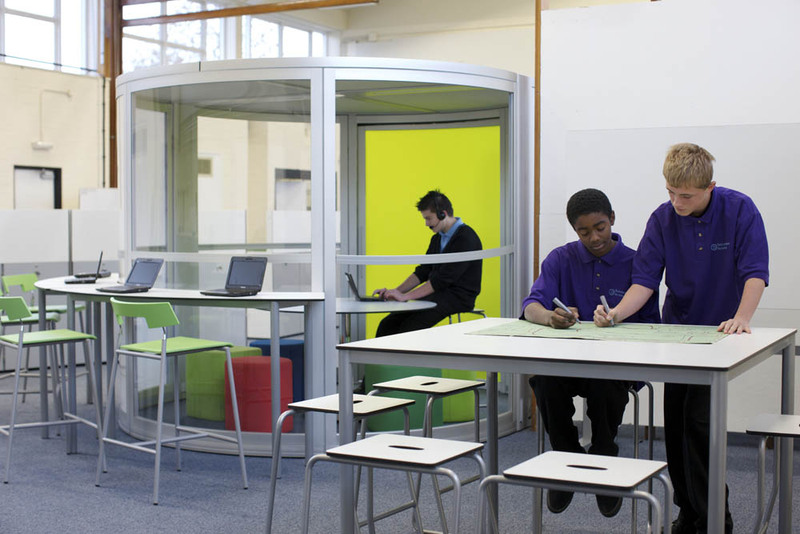 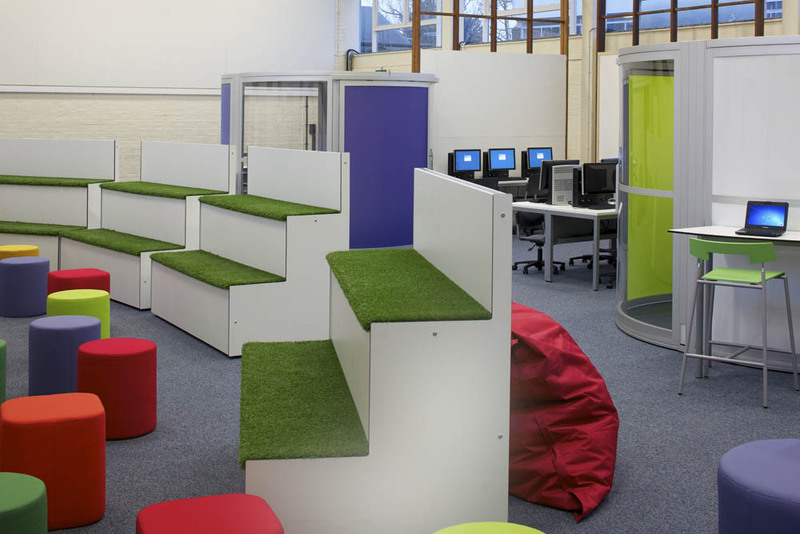 Acoustic Pods, StepSeats, VerTable Interactive, banks of integrated ICT desks and a range of soft and upholstered seats support collaboration or individual study. 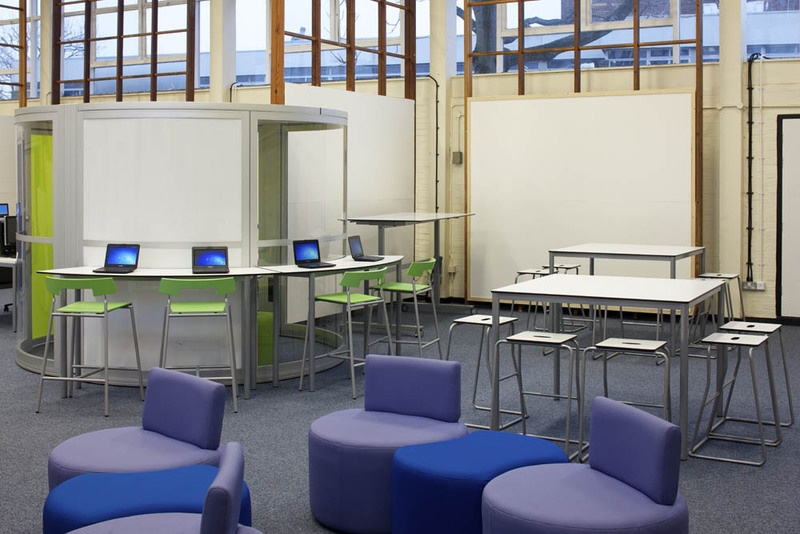 When asked what they thought about their new learning space, one student said “It’s easier to learn here because we’re excited to learn”.